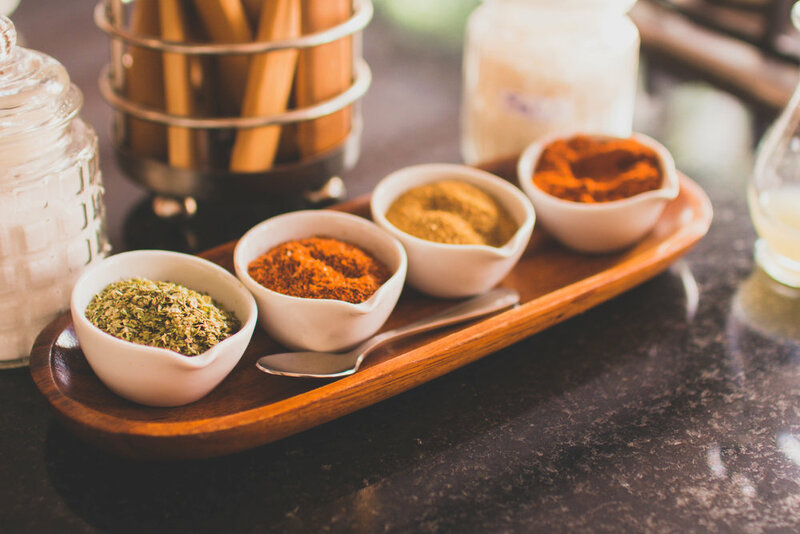 While traveling the world, one thing I have come to appreciate is the vast choice of spices that are available in different regions. 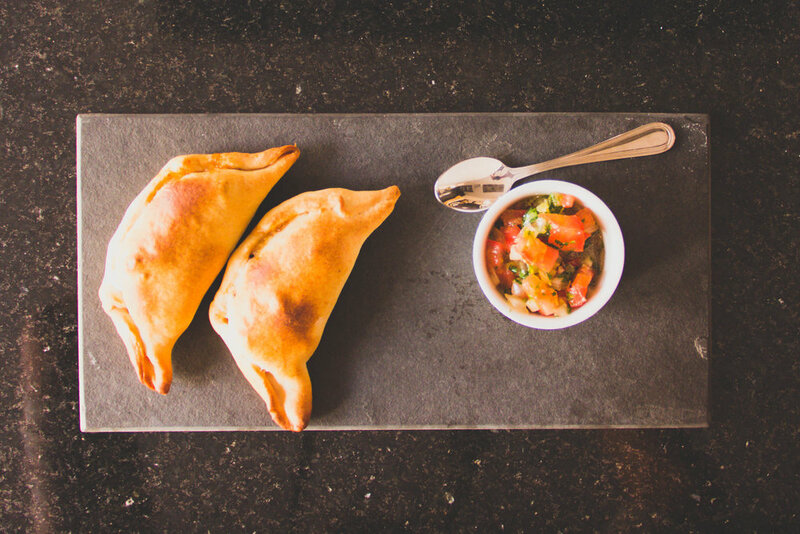 Exploring those flavors is one of my favorite things to do while traveling. 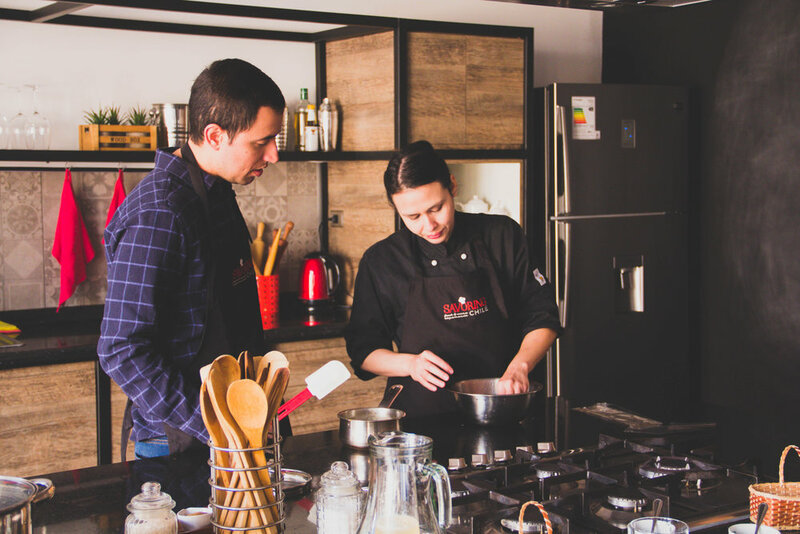 When researching cooking classes in Santiago before our trip, Uncorked stood out from the rest. I was a bit hesitant at first because of the cost for the package but in the end, it was well worth it! Our tour started in the market district of Santiago. Read more about our tour of Mercado Central here. From the markets, we took the train back to the kitchen. We were immediately impressed with the beautiful, spacious facilities. Since we were in Chile in the off-season, it was just the two of us in our class but this gorgeous kitchen could comfortably accomodate larger groups. Despite the major setback of being robbed in Valparaiso, we forged on with the rest of our trip. Up next on our itinerary was the Uncorked Cooking Workshop. As it was the off season in Chile, we had the whole tour to ourselves and after our previous day, it was just what we needed! 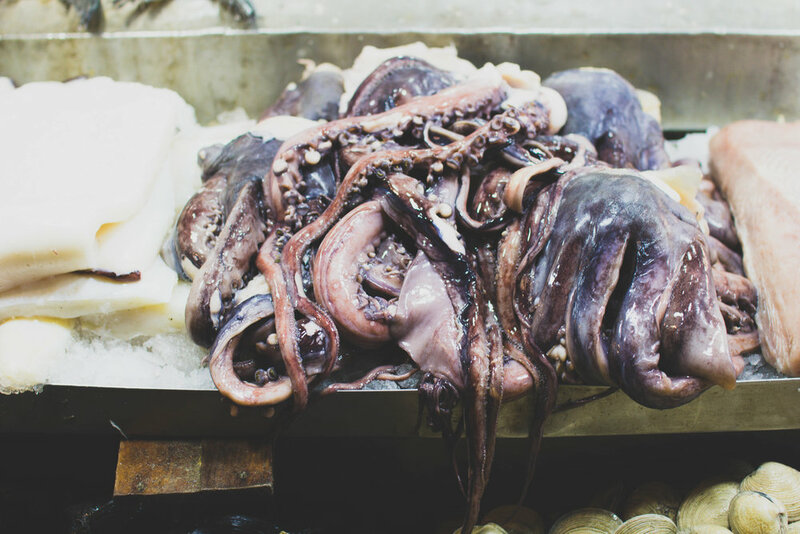 We began our tour by meeting Eliana outside of the Mercado Central and had a tour of the local, fresh seafood. Each vendor had their own stall and and tried to entice the passersby. The lovely gentleman in the hat below told us the folk tales surrounding the historic space as we browsed the fish in his stall. We walked through the restaurant area and continued across the bridge to the other market areas. Because it was a down time in terms of holidays requiring flowers, the next space we visited was rather empty but featured beautiful floral arrangements nonetheless. We continued wandering through each of the other market stalls and saw new varieties of fruits and vegetables. Every time I visit a new open air market, it amazes me how many varieties of tomatoes and potatoes and peppers there are all over the world. And oh, the color! I can never get enough. 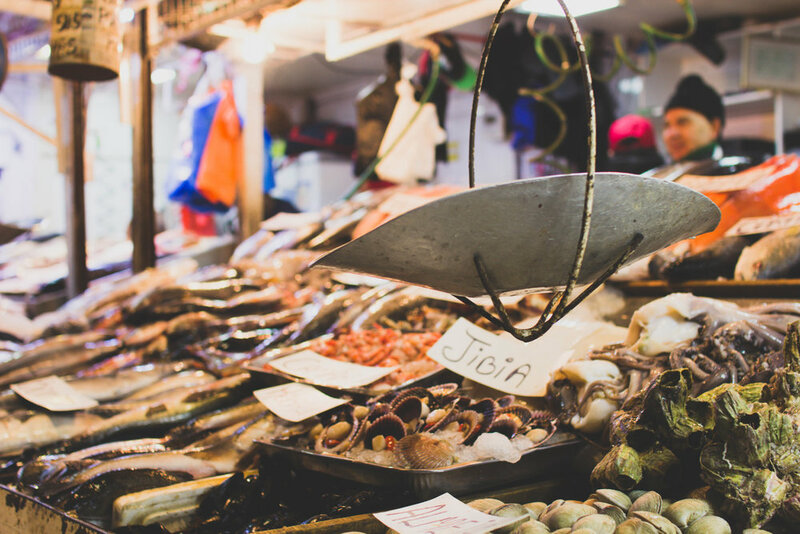 We purchased a few fresh items and headed back to the kitchen for our cooking class, which should definitely have a spot on your itinerary in Santiago. More on that in the next post! 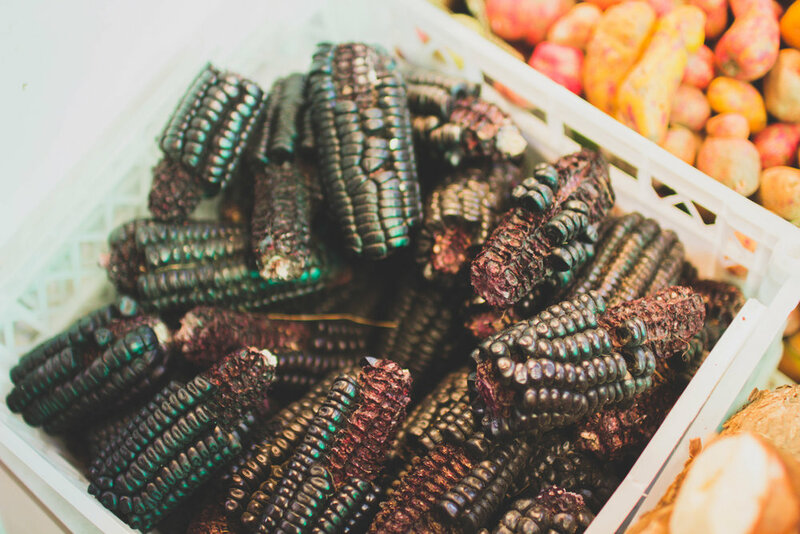 Below: pumpkin tomatoes, dried seaweed (which is apparently a popular vegan protein substitute), black corn that is a staple of Peruvian cuisine and the coolest potatoes you've ever seen. This summer, I was reflecting that during the last World Cup, I was packing up my life in Indonesia and moving to the host country, Brazil. I didn’t know Felipe yet and had very little interest in soccer. It’s crazy how much life can change in four years! We landed in Brazil this summer just in time for their first game and boy, was everybody ready! The streets were strung with colorful flags and the city felt alive. 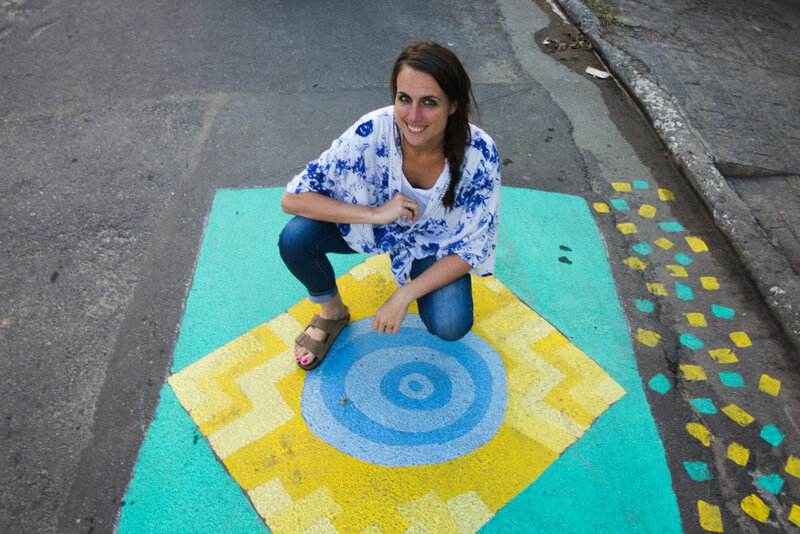 One tradition that Felipe has done since he was a child is to paint the street for the World Cup. I was all over that! We went to buy paint (which we had to mix ourselves) and got to work. Felipe painted the World Cup logo and I worked on a Zentangle-inspired flag. While Brazil didn’t have a favorable outcome, we sure had a blast! Let me tell you a secret. Churrasco (or grilled meat) is not the best that Brazilian cuisine has to offer. That would be açai (ah-sigh-ee). Açai is a small black fruit grown on a specific species of palm tree and sold as a frozen fruit sorbet. You might have seen this advertised at health stores Stateside or on the boardwalk in California but do not be fooled. Unless purchased at your local Brazilian co-op (Dallas), this is likely a sad imitation of this Brazilian delight. Do yourself a favor and try the real deal! For me, açai was an acquired taste. My first year in Brazil, before Felipe and I started dating but had already been hanging out in groups for awhile, we met up after work one day to go to Becco do Batman. After we arrived, he asked me if I liked açai. I said sure, trying to be agreeable and impress my crush, and ended up with a large purple bowl of frozen goop. I tried to shovel down a few spoonfuls to be cordial but my body was not having it. Once we started dating, Felipe convinced me to try it again one afternoon after visiting his family across town. This açai was different. It was delicious (or maybe I was just tired from conversing in Portuguese and hot from lack of air conditioning). Regardless, it became our weekly tradition. 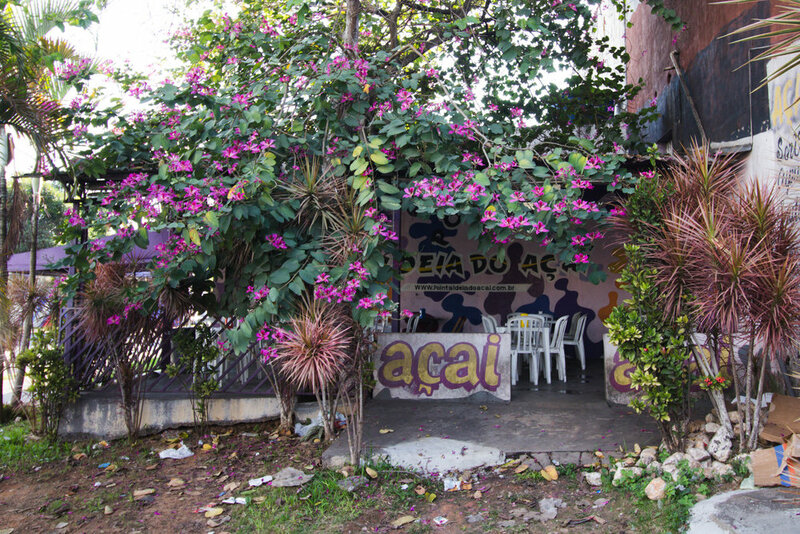 There is one place in particular that has the best açai in all of Brazil: Point Aldeia do Açai. This is our friend. He owns two of these shops. Like ice cream, açai can be topped with sugary delights. In two years, I ate a considerable amount of açai and this is the best ratio I have found: peanuts on bottom, açai, peanuts on top, condensed milk. The perfect ratio of salty to sweet. This summer (Brazilian winter), we got to eat açai every. single. day. YUM. This time last year, Felipe and I were getting ready to say farewell to Brazil. But before we left, there was one festival that we knew we wouldn't have the chance to see again: Easter in Ouro Preto. Aside from being a well-preserved architectural gem, Ouro Preto is a historical hub for the mining roots of the Minas Gerais region. The rolling cobblestone hills topped with church spires are a sight to behold. But for Easter, this charming town pulls out all of the stops. We arose early in the morning to hit the streets to see the tapetes de serragem, or sawdust carpets, that fill the streets Easter morning. Some religious designs, some not, these colorful patterns fill the streets to mark the route of the Procissão da Ressurreição or Resurrection Procession. Following the throngs of locals and tourists, we took in the beauty of these temporary works of art on our way to the starting church. Every year, the main churches in the city trade off being host to the starting position of the procession and dress up as different Biblical characters to illustrate different stories. When we arrived at the church, the participants were were preparing for the walk.